Manufacturing, along with virtually all other industries, is going through a significant period of change. Driven by rapid technological development, David York from Epicor looks at why manufacturers are having to work smarter, operate more efficiently and be prepared to innovate. Over the next 12 months, these factors will be supplemented by a combination of political and economic upheaval that is likely to have far-reaching ramifications, such as fluctuating currency rates and slowing down Britain’s economy. In order to be able to respond to these changes and remain competitive, embracing innovative technologies is now more important than ever. 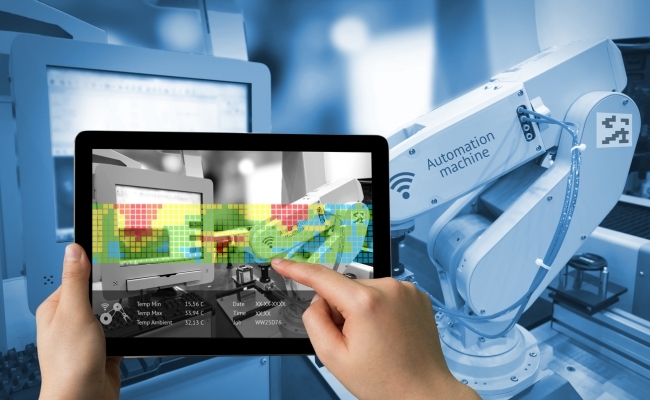 For manufacturers specifically, relying on outdated software when competitors are adopting Internet of Things (IoT) and embracing smart technologies, will hold them back. Procrastination will make it significantly harder for a manufacturer to thrive and grow in today’s fast-paced business environment. As an enabler of growth, technology will play a key role in empowering businesses to innovate and embrace the opportunities that will present themselves in 2018. But where exactly are these opportunities likely to come from? Here, we identify the top trends that we believe will be central to success in the upcoming year. A key factor for manufacturing growth in 2018 and beyond will be whether businesses are flexible enough to be able to deal with the amount of predictable and unpredictable change coming their way. Chief among these changes are Brexit and incoming Global Data Protection Regulations (GDPR). While many organisations are concerned about the impact they will have on industry, they are both predictable to some extent so can be planned for. Flexible businesses will then be able to ride out the potential issues that such political or legislative changes may cause, such as having to adapt internal processes or employ personnel with different areas of expertise. The even greater challenge comes from responding to unpredictable changes that can appear at any moment. By taking the view that change is constant, well-prepared manufacturers will be able to take advantage of the opportunities, mitigate the threats and control the impact of something as big as Brexit or GDPR. One of the biggest barriers to flexibility for many manufacturers is having to rely on an outdated enterprise resource planning (ERP) system. Too many businesses are still using legacy software, which can hold them back in several ways, such as making it harder to scale production up or down. They will also miss out on the valuable competitive advantages that a strong ERP solution can provide. For example, integrated ERP systems enable manufacturers to rapidly respond to last-minute order changes and improve resource management to control spending and reduce waste. Having a flexible IT solution will be the engine of growth for forward-thinking businesses. The growth of ‘Industry 4.0’ has been a widely discussed topic in 2017 and its steep upward trajectory is certainly going to continue. For example, the International Federation of Robotics (IFR) predicts that more than 1.7 million new industrial robots will be installed in factories worldwide by 2020, representing an annual growth rate of 14 percent. Essentially, Industry 4.0 is about combining artificial intelligence and data science to realise the potential of the Internet of Things (IoT), but just having access to large pools of information is no longer enough. 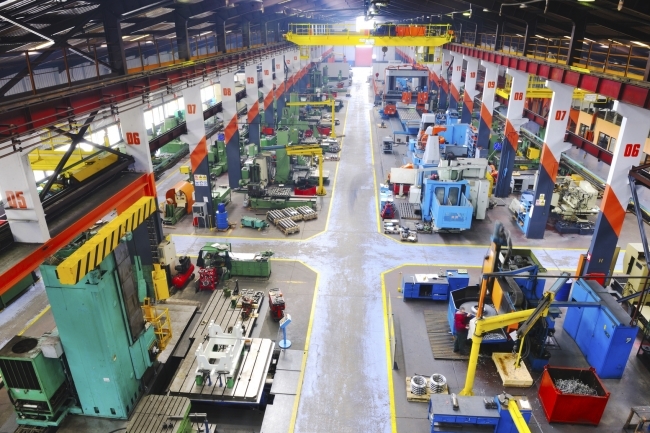 The important thing that manufacturers need to take advantage of over the coming year is using that data to gain insight, inform decisions, and drive better business outcomes. As more and more ‘smart’ devices are integrated into organisations in 2018, Industry 4.0 will continue to dominate the manufacturing industry, offering valuable benefits including predictive maintenance of machinery and increased levels of automation to help manufacturers optimise their operations. One example of this is for inventory control of spares and raw materials. Sensors are being used to identify stock levels and, based on historical information, automate the replenishment of these items. This innovation decreases production downtime and ensures an optimised delivery schedule. It’s about being able to build upon a loop of intelligence that feeds into a cycle of continuous improvement. In layman’s terms, this involves gathering as much data as possible, turning this data into insight and finally into intelligence which can be used to improve business processes. This is the mindset manufacturers should adopt when it comes to ERP. However, making the move towards a smarter ERP system can require a cultural shift for manufacturers as well as financial investment. ERP systems are already collecting more business data than ever before, but making sense of this data and taking action on it will be the key differentiator in the year ahead. With the increasing amount of data being created by Industry 4.0 comes the opportunity to significantly enhance the customer experience. This is an area that, thanks to increasingly competitive business landscapes, is now more important than ever. Success in 2018 will boil down to how well companies can differentiate themselves from the rest and focusing on the customer journey will be a key aspect. Customers today expect the same service in their work life as they get in their personal life, which means ‘business to business’ companies need to start behaving more like ‘business to consumer’ ones and treat the customer experience as sacred. For example, people are used to features such as same-day delivery and one-click ordering in their personal lives, which is making them more demanding in their professional capacities. For manufacturers dealing with a complex supply chain, a robust and modern ERP system is now widely recognised as playing a crucial role in improving the customer experience. IDC research reports that 85% of manufacturers with more than 5,000 employees identify ERP as being a vital platform to delivering positive customer experiences. 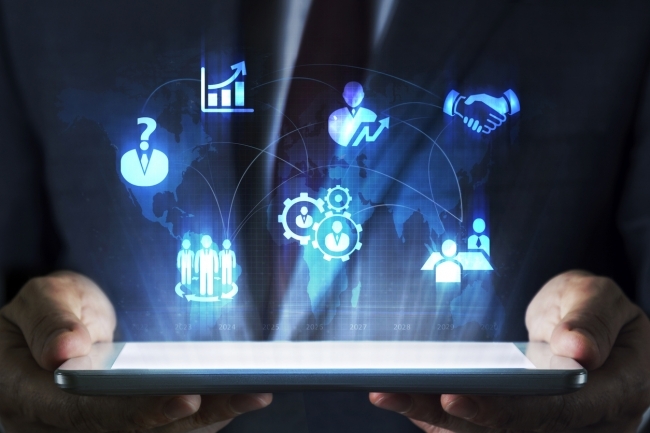 A flexible, fully-integrated ERP system that streamlines operational processes and connects back-office with front-office functions throughout the lifetime of an asset or product enables manufacturers to offer a much higher level of service. A level of service that they are able to charge more for and will set them well apart from their competitors. Linked to improving the customer experience is the role of Artificial Intelligence (AI), which is set to have a profound impact on ERP systems in 2018 in several diverse ways. For example, AI-driven ERP is being used to create dynamic workflows that learn the various ways in which an organisation and its employees interact with the software, before suggesting different optimisations for individual users. In terms of improving customer service and support, AI is for example allowing business to provide always-on customer service that isn’t constrained by time zones or holidays. It is also quickly scalable and enables an unparalleled level of personalisation throughout the customer journey. Furthermore, AI in the form of predictive analytics can be used to produce deeper insights for specific business outcomes and make more sense of the mountains of data manufacturers are now collecting and storing. More use cases will become apparent as the technology continues to develop, but what’s already clear is that the potential of AI when it comes to ERP is significant. With political and economic upheaval on the horizon, businesses are facing an unclear future. There are turbulent times ahead, but those organisations that concentrate on making themselves smart and agile will be the ones that are best positioned to take advantage of growth opportunities in 2018. For manufacturers, this process starts by ensuring that internal software systems are fully supported with the latest updates, thereby enabling them to react to change and view the likes of Brexit and GDPR as opportunities rather than threats.